Starting date: As soon as possible, preferably in November. Contract: 38 hours per week, 6 months under Belgian contrat d’immersion professionnelle, plus transport and meal vouchers. 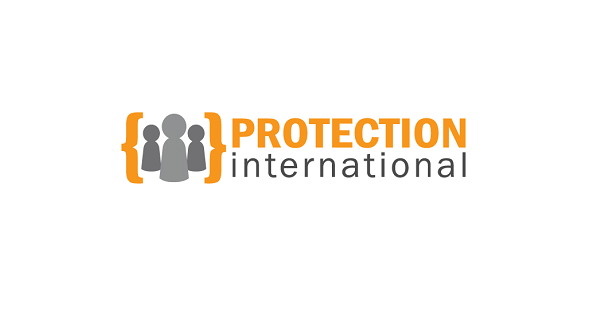 Protection International (PI) is an International NGO that contributes to the improvement of the protection of human rights defenders (HRDs) throughout the world. PI provides tools to develop HRDs’ capacity to manage their own security as they struggle against impunity and work in favour of human rights and democracy in their respective countries or regions. PI seeks to contribute to a situation where HRDs are recognised as legitimate actors for social change and to an environment where they can exercise their right to defend universally accepted human rights. Protection International has its head office in Brussels, but primarily works where protecting human rights defenders is needed. We have long term presence in Colombia, Guatemala, DR Congo, Kenya, Thailand and Indonesia; and we also work with partners around the world. The Communications & Advocacy Internship at Protection International Head Office in Brussels provides opportunities for graduate and postgraduate students to gain an insight into the work of human rights defenders and that of an international non-profit organisation, while enriching their knowledge and experience in the fields of communications and advocacy. Bachelor Degree in relevant field (communications, political science, human rights). Prior experience managing social media and website content management systems (Drupal, Wordpress). Experience drafting newsletters and mailing lists (mailchimp). Fluency in English and Spanish. Native English or Spanish speaker preferred, with good working knowledge of French. Experience (internship or volunteer work) in a similar communications or advocacy post or with an NGO is a plus. Great writing and editing skills are essential, as well as story-telling skills. Experience/knowledge of graphic design software (Photoshop, Indesign) is an advantage. Experience/knowledge of video editing software (final cut) an advantage. Interest in human rights issues and advocacy. To apply for the position please send your resume (CV), cover letter (max one page) and 2 references before 07 November 2018 (24:00 UTC+1) to the following email: recruitment@protectioninternational.org and include the subject line: “Communications & Advocacy internship”. Please include your name in the file name of your application documents, e.g. Laura_Smith_CV.doc. Applications will be reviewed as they are received and interviews will be held by Skype or in person on a rolling basis. The position is open to persons legally entitled to work in the EU/Belgium. PI will use candidates’ personal data for the purpose of this recruitment process only. All personal information will be deleted 30 days after the selected candidate has taken up his/her position.